Kangaroos get the apple stems. Quick ducks like good victims. Soft kisses linger, blending gently. You Must Sample Amanda's Pie. Give your dog real attention. We all love Kagome's energy. To Get Inupappa Rin Accepts. Hail the new prime witch! All the little puppies frolic. Sesshomaru in Kagome's Yellow Bathroom. Once, Guys Had Tough Roles. 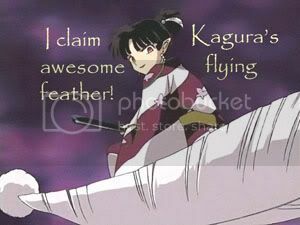 Inuyasha makes Kagome jump lately. Miroku suffers under violent devices! Whatever Alayna Likes, Kagome Eats! Interestingly, several geishas turned northward. Isn't Sesshoumaru going to notice?